Kim: Actively studying ways to improve shareholder value. SEOUL (Bloomberg) -- Hyundai Motor Co. will consider a shareholder proposal to set up a corporate governance committee to improve its decision-making, co-CEO Kim Choong Ho said. 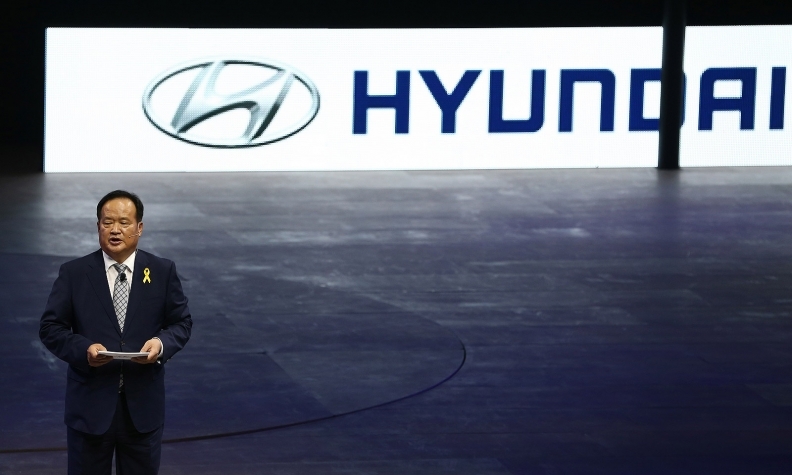 Netherlands-based APG Asset Management, which holds shares in Hyundai, made the proposal at the automaker's annual general meeting in Seoul on Friday. The committee should report its activities annually and the company should appoint a director who looks into governance issues for shareholders, APG said. The proposal follows criticism by investors and corporate governance groups that Hyundai and its affiliates had harmed shareholder value by paying triple the assessed value in winning an auction for a prime plot of real estate in Seoul. Hyundai has sought to assuage investors by buying back shares and increasing its dividend payout. Even so, the company's share price remains below the level before the land deal. "We are actively studying ways to improve shareholder value," Kim said. "We will work to implement the proposal." South Korea's National Pension Service said on Wednesday it will oppose the reappointment of two external board members at the affiliates, Kia Motors Corp. and Hyundai Mobis Co., for failing to fulfill their fiduciary duties over the land deal. The pension fund will abstain from voting on the directors at Hyundai, it said. "The governance issue has been at the heart of not just Hyundai but most South Korean companies," Shin Chung Kwan, an analyst at KB Investment & Securities Co. in Seoul, said by phone today. "It's encouraging to know Hyundai will consider taking measures to improve its structure." Shares of South Korea's largest carmaker closed unchanged at 172,000 won in Seoul. Mobis's external board member was reappointed at Friday's annual general meeting, the company said. Kia will hold its shareholders' meeting on March 20.